Now you should have enjoyed the preliminary sense of fulfillment of a securing a physical interview, you have probably gotten the call or received the mail. Now the big question is what is next? The leading weeks are loaded with anxiety as you try to get in the right preparatory frame to make the best of the opportunity. Of course, this is what you should be inarguably doing but a bigger concern is if you are doing it in the right way. 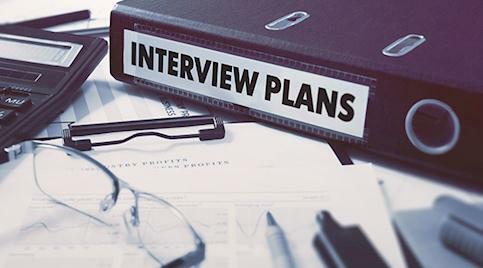 Presented here is a procedural guide on how to make adequate preparations for the interview step-by-step. THE DAY YOU ARE OFFERED THE INTERVIEW. Respond at once: making delays as to giving them a quick response could heavily cut down on your chances as it could give the message of disinterest on your side or that you are not professionally disciplined enough to initiate follow-ups. The best is to response very promptly to the opportunity; trying best to keep your excitement within check. Inquire about logistics: Nailing down the address is usually not enough. It is not out of bounds or request the company’s dress code; even the names of the prospective interviewers. But then in your fair inquisitiveness, avoid questions that are unnecessary or questions whose answers you could personally and easily fetch (even from Google). Now we your interview is barely seven days away. Get well set with the following practices. Take some time to embark on a research about your prospective employers: Maybe you have done this emphatically when making your first application for the job, but it wouldn’t hurt much to do it again would it. So now go back to the company website, maybe its blog, as well as recent news write-ups. This may likely put you in resonance with them. You could also research the hiring managers: In the circumstance where you are already aware or who your interviewers, do a little research. You could do this by searching for them on the company’s team page, another place to get a characteristic description of them is on the company’s online networks. Make a concerted attempt to get a good dig at the personality of these interviewer; if you could get a hint of their temperament; the better. Make a good choice of what to wear to the interview early enough: it is not always the best or fold up your arms waiting for the night before to start scrambling through your wardrobe for a befitting attire. Why not try an outfit and see if it measures up considerably well before time; prepare to wear it to the interview. Don’t get too individually opinionated; you could ask external parties how good the cloth looks on you and get any helpful contributions. These way your appearance is more likely to tick more right buttons. Do well to review the job posting: Your answers in the interview are sure to pick up higher marks when you are already well acquainted with the job requirement or description. Go on practicing answering common interview questions: You will agree with me that sone questions tend to be repeated in several interviews. As pertaining to your field, try to figure out what you would be commonly asked an try to work them very intelligently as much as you could even asking your friends or even well-versed family for recommendation. Also cook some questions for the employer: When the interview ends, the opportunity may present itself to ask your questions. This is one big hammer to hit the a very vital nail on the head and empathically drive a positive impression home on the mind of the recruiter. It could make or break you as the interviewer would be critically assessing your level of intelligence from the quality of your inquisitiveness. So how about you ask some very sparking questions you have carefully formed before hand. Map the directions: truth is the last thing you want on your interview date is to be found wanting as to punctuality, being late sends as much wrong signal as a terrible underperformed interview itself. So take some time to accurately calculate how long it would take from your location to get to the interview scene. Don’t forget about traffic; planning without traffic in mind in this country is as useless as trying sell a bible on a Mecca pilgrimage. Get ready your day-of materials: Sometimes, the hiring manager doesn’t really not need to ask. It is common practice to bring along sufficient copies of your resume; a paper and pen would do too as well as any precise item demanded of you by your interviewer. This could include mints, money for parking, grooming materials etc. You could never tell; taking along a spare interview outfit is not being too cautious. Prepare for the worst scenario remember. Put every other thing in place and then don’t forget it is important to take a good night rest at a time that agrees with time of your interview tomorrow; you could also add an alarm clock as a security check on any possible nonchalance of oversleeping. Be optimistic: it is very important you believe in a positive result, it puts you in the right frame of mind to get an engaging interview performance. Failing before you do is one sure to really fail: so first pass the interview in your mind first and get positive; envisioning good returns,and attracting real-life success first a success-inclined mindset!